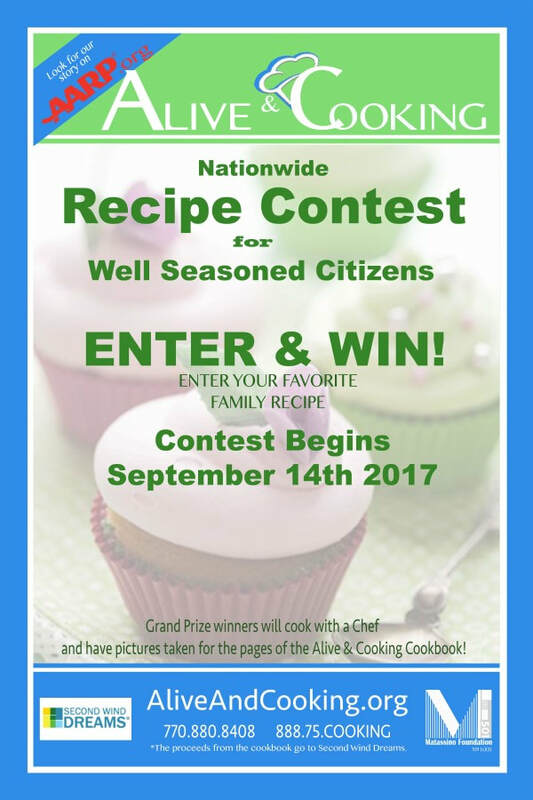 We are excited to invite everyone to enter their beloved family recipes in the Alive and Cooking contest. Winners are eligible to cook with a Chef and have their photos and recipes published in a cookbook. Thanks to Matassino Foundation 501, cookbook proceeds will be donated to Second Wind Dreams® benefiting the fulfillment of elder dreams. Please learn more and enter your recipe at www.aliveandcooking.org/enter-recipe-contest.